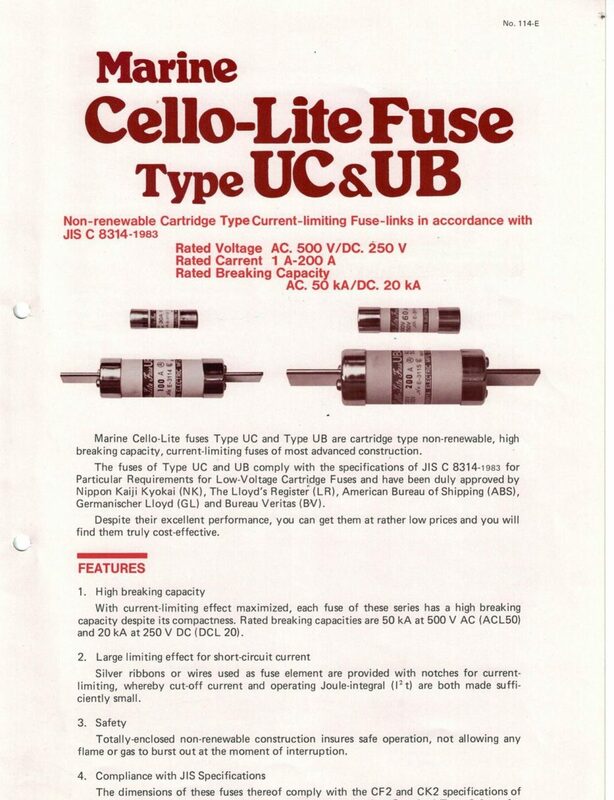 Cello-Lite fuses is manufactured by the Utsunomiya Electric Manufacturing Company which has a history of 77 years developing both high and low pressure fuses. 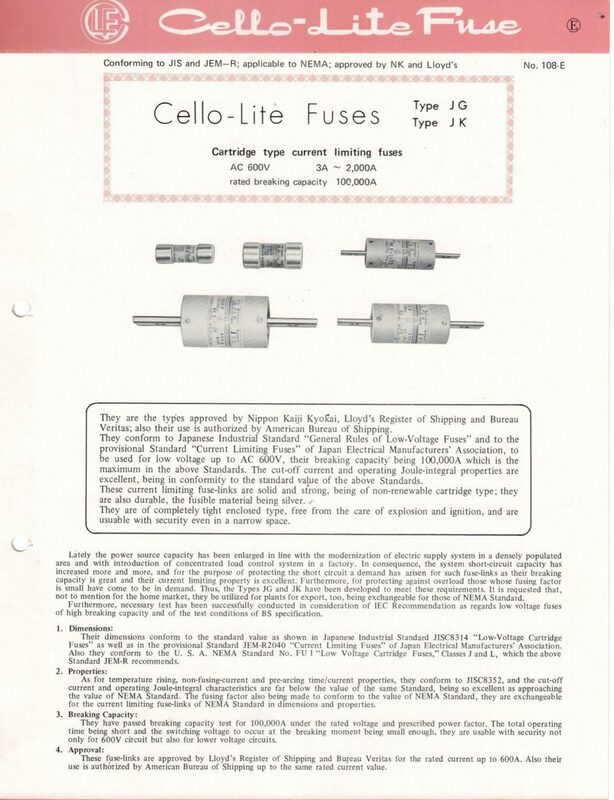 It all began when Cello-Lite’s founder, Utsunomiya Kuzo, worked on the research and design of an electric safety device known as a fuse. 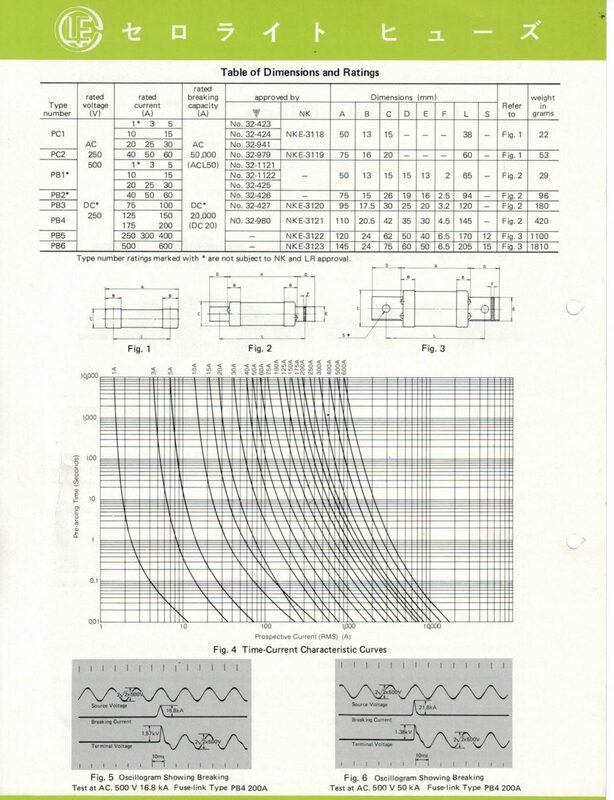 He acquired several utility models, added a patent, and devised a blocking system by an “arc extinguishing film” aimed at increasing the breaking capacity. 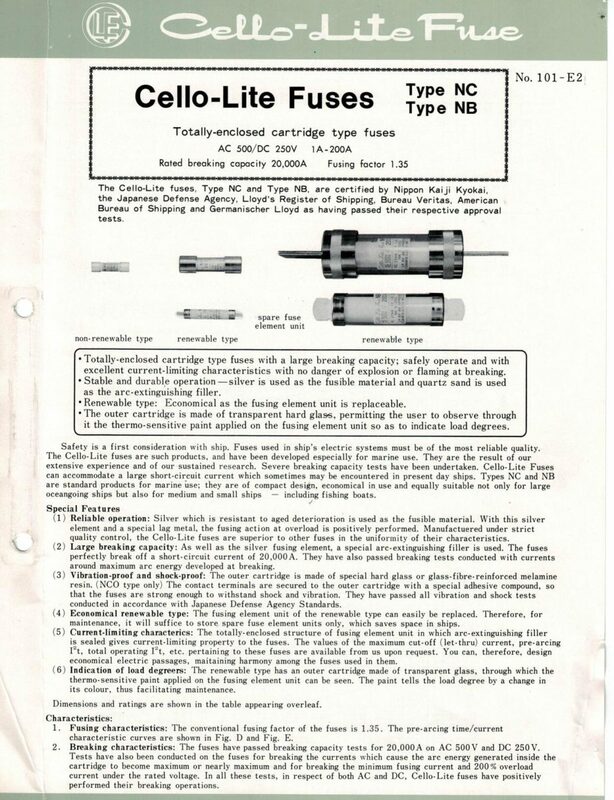 The special combination was an arc-extinguishing film with a rigid glass outer sleeve offering a conventional opaque outer barrel fuse which was also easy to inspect and insulated against humidity. A total of 10 patents and utility models were added and commercialized under the registered trademark of “Cerro Light Fuse”. 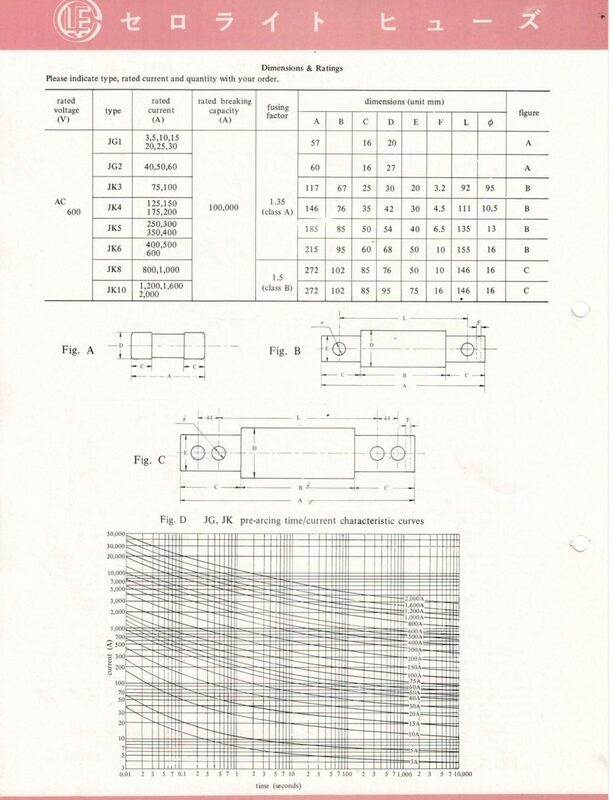 Later, the company developed fuses (using this arc-extinguishing film shutoff method) for high pressure. 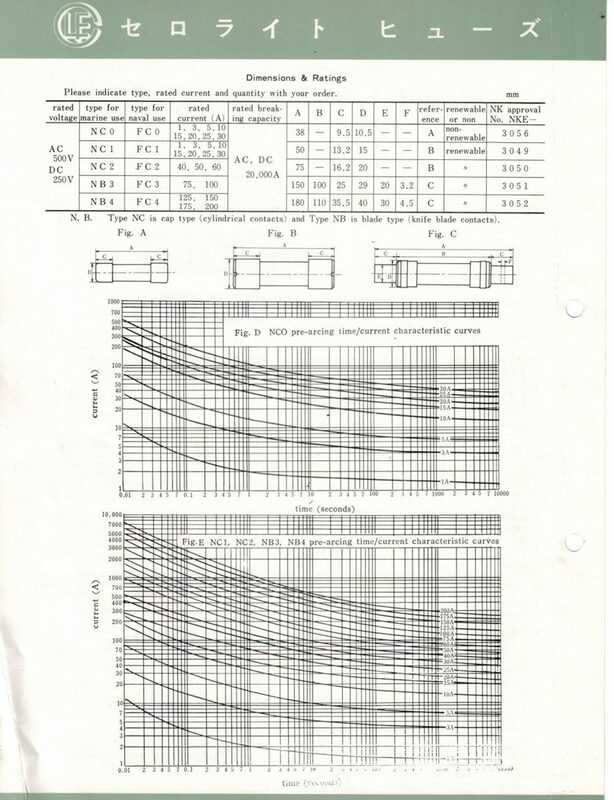 The fuse performance was superior to the US-made fuses at that time and later gaining patents and was considered as innovative. The Utsunomiya Electric Manufacturing Co. also developed fuses for marine vessels, obtaining certification by the Ministry of Defense. 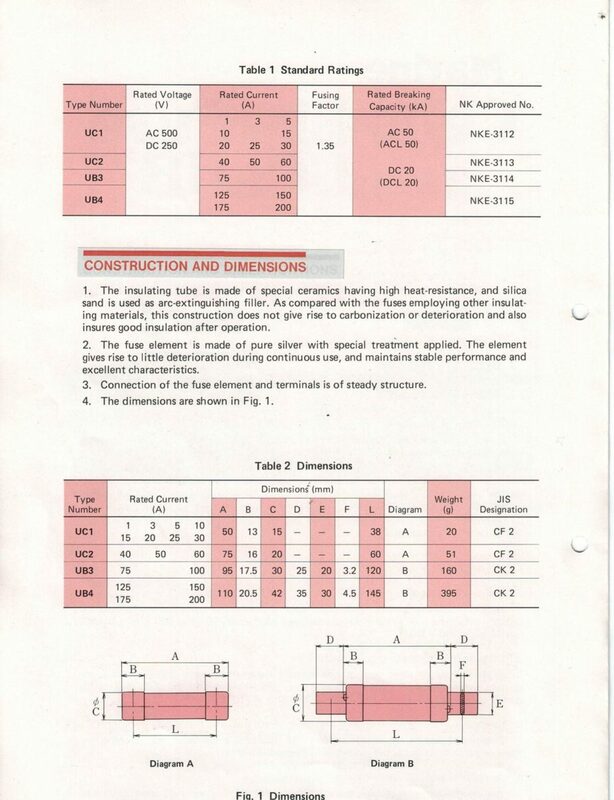 Their ship fuses are used for destroyers, submarines and other oversea vessels such as large tankers inside and outside the country, bulk carriers, container ships, and domestic shipping vessels. In recent years, further improvements in performance and reliability have been achieved giving energy savings as well as environmental benefits of reduced carbon dioxide. 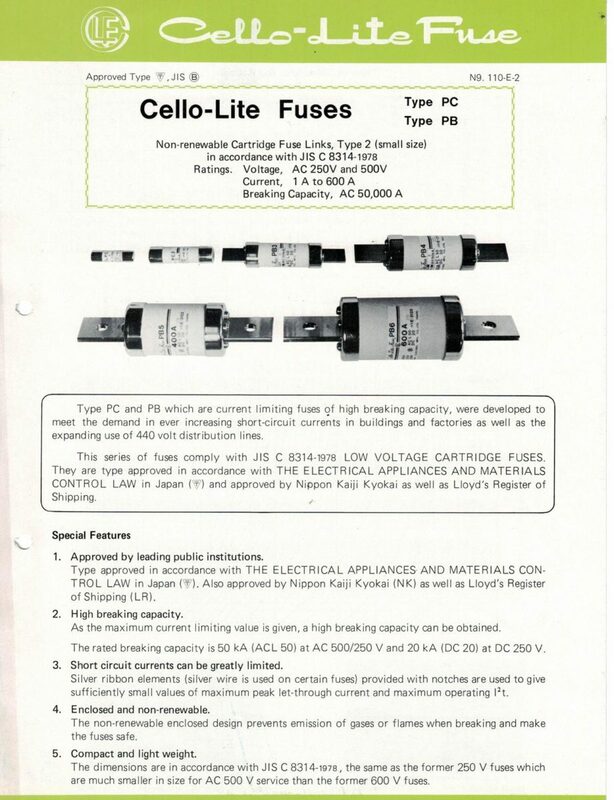 The manufacturer of Cello-Lite fuses continues to improve and maintain the quality of high and low voltage power distribution panels for elevators, electric power, marine fuses, as well as for railway, automotive and ozone generators. 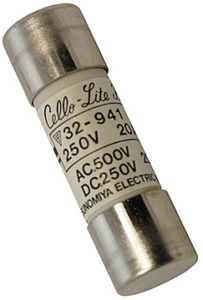 10A 600V FUSE The Cello-Lite JG1-10 fuse is an industrial marine fuse produced by the Utsunomiya Electric Manufacturing Co.
15A 600V FUSE The Cello-Lite JG1-15 fuse is an industrial marine fuse produced by the Utsunomiya Electric Manufacturing Co.
20A 600V FUSE The Cello-Lite JG1-20 fuse is an industrial marine fuse produced by the Utsunomiya Electric Manufacturing Co.
3A 600V FUSE The Cello-Lite JG1-3 fuse is an industrial marine fuse produced by the Utsunomiya Electric Manufacturing Co.
30A 600V FUSE The Cello-Lite JG1-30 fuse is an industrial marine fuse produced by the Utsunomiya Electric Manufacturing Co.